Bring a floatie and join the Parents of Mito Warriors in raising funds and awareness for mitochondrial disease research. 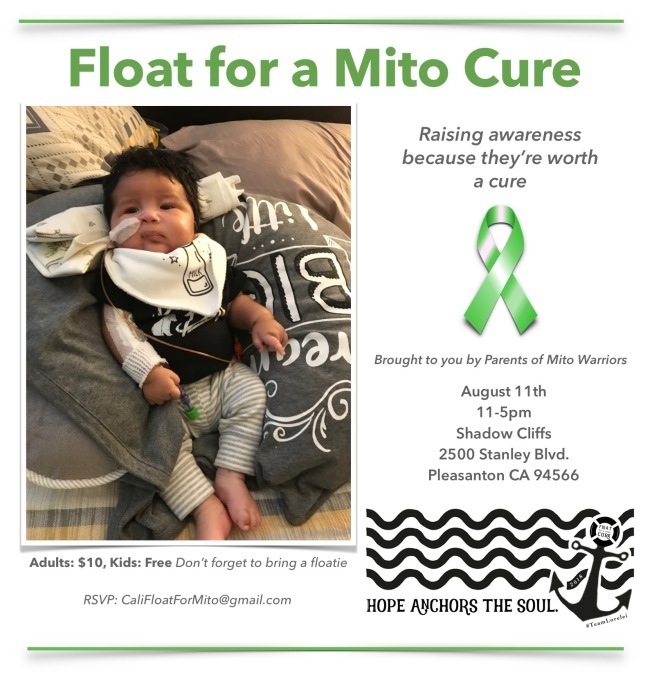 On August 11, the Float for a Mito Cure community fundraiser will hold an event at Shadow Cliffs Lake in Pleasanton. It is free for kids to attend and $10 for adults. Mitochondrial disease is a genetic disorder that happens when the mitochondria of the cell do not produce enough energy in order for the body’s cells or organs to function. It affects one in 4,000 people in the United States, according to the non-profit organization MitoAction. When: Saturday, August 11 11 a.m. - 5 p.m.